If you live in Ottawa, you know how severe the winter can be; what you may not know is that this is also the best time of the year for a new or replacement fence. If you have a manicured landscape in your home, winter is the best time for a new fence. During winter, the trees, shrubs and bushes are dormant, and are less likely to get damaged during fence construction. Whether you prefer a DIY approach or are considering getting professionals to install a new fence, do not worry about destroying your garden during the construction process. Digging dry ground is difficult and installing a fence during this period will definitely take a longer time. Additionally, more people install new fences during the spring and summer, which means more work for the contractors. By installing your fence during the winter period, you can beat the spring rush. If your fence is old or cracked at the start of the season, replacing it early is the best thing to do. Of course, there are little damages that one or two repairs can fix, but it is better to get a new fence before it gets far into the winter. Like every other business in the construction industry, fence contractors get a lot of business during the spring and summer periods, this means higher prices for installing a new fence. When you opt for a fence replacement during winter, the charges are lower. Planning for a new fence in the winter also gives you the opportunity to work with professional fence designers and contractors unhurriedly. 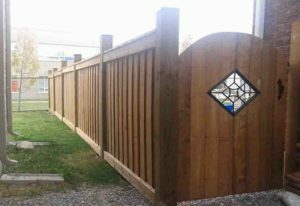 If you are planning to get a new fence this winter, make sure to work only with qualified New Fence Contractors near Ottawa. During the spring and summer periods, you and your family will want to enjoy playing in your backyard; this makes constructing and installing a new fence almost impossible. It is inappropriate to install a new fence while a party is going on, for example. But during the winter, chances are there will be no outdoor activities because of the cold, making it the right time to get your fencing project done.